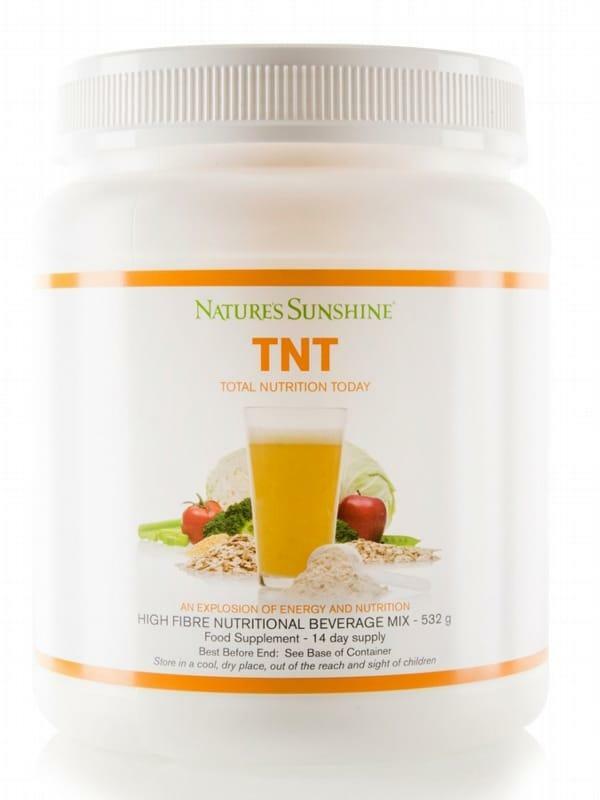 TNT is a high fibre additive with great orange taste drink mix. It provides a balance of 18 various sources of fibre plus a complex of 12 vitamins, 11 minerals and antioxidants that are so much necessary for our bodies. Fibre is the significant part of a healthy diet, but it is not always easy to receive so much fibre daily, as it is necessary. Fibre, also known as in bulk or roughage, is the substance that contains in all plants which are eatable, and it is the extremely important for maintenance of health of intestines and a thick gut. Fibre carries out the important functions in an organism. Insoluble fibres absorb water, soften stools and moves materials through intestines. A soluble fibre contacts fat acids and prolongs emptying time of the stomach so sugar is allocated and absorbed more slowly. Fibre gives set of advantages to several systems of an organism, and as the majority of us do not receive enough fiber in our daily diets, additives is fine alternative. Fibre plays an essential role in regulation of level of cholesterol and sugar in blood, and also provides dietary bulk for maintenance of healthy intestinal system. Fibre also absorbs toxins and fat in the bowel and eliminates them. Most general advantage of Fibre is regularity, that it promotes. High diets of fibre also has been shown to lower risk of some diseases. Food with the high maintenance of fiber, for example legumes, whole fruits, oats and bran, are also low on the glycemic index. TNT the fibre which provides a balance of 18 various sources of fiber, plus set of vitamins and minerals. It also provides vitamins and minerals which are useful for good health. TNT gives soluble and insoluble fibres. It provides beta carotene, lycopene and other carotenoids. There are no added sugars and it contains only natural sugar of fruit. Besides, it provides more nutrients, than full kg of fresh vegetables, plus fibre, vitamins and minerals. Teas with natural orange, TNT has some no added sugar and contains only natural sugar of fruit. It has wonderful natural taste which all members of your family may enjoy. Mix with water or fruit juice. One portion of this tasty orange cream, supplies the flavoured mixes with 12 g fiber, 12 vitamins, 11 minerals and antioxidants. It may be used every day, as a substitute of food or as addition to any diet. Fibres in TNT are received from 18 various sources of fruit, vegetables and grain. Mix one scoop with 4 ounces of water and shake or stir briskly, use daily (532g tin). And also it is accessible in one sachet serve. TNT is nice for vegetarians. Has buttermilk in its formula. NOTE: the product provides vitamin A in a form of retinol and is not for use if pregnant or when it is likely. Consult your doctor first.